Posted On April 27, 2017 by Team iCynosure. Every season I appreciate a style and inculcate it with my sensibilities to flaunt it on a day-to-day basis. 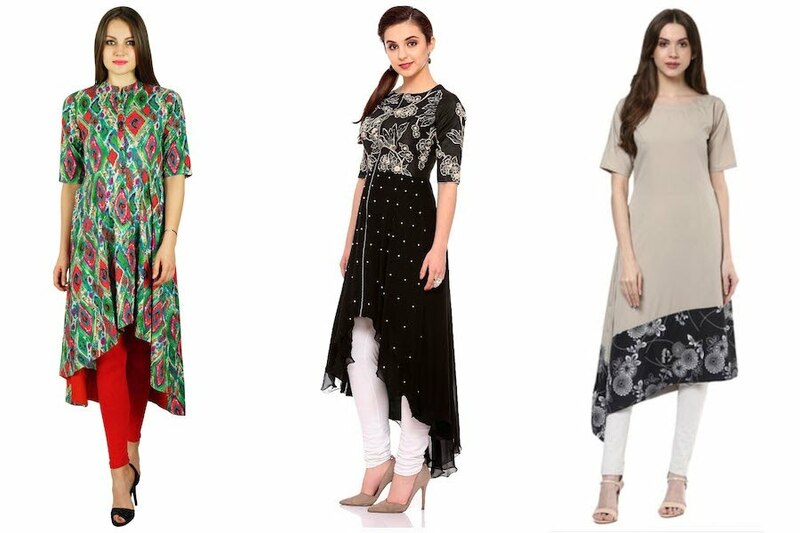 This summer I’ve taken a shine to the modest yet super stylish Kurti with the thought of experimenting with a piece every morning to find new ways of putting a look together rather than a plain repetition that sets a mundane for the little fashionista in me. I love the idea of embracing the simplest of pieces and expressing myself through them, leveraging my style-sense to stand out each time while putting together a look. Sometimes when I’m asked in my professional capacity to refurbish a wardrobe for a young professional, the first thing I discuss with them is the ease with which they are willing to trade their jeans with other available options. That sets the tone for the overall haul and the base for the transformation. It is the same basis I’ve revamped my casual-formal ethnic wardrobe, with picking my kurti online; because sometimes even I need some bravery to remain as fashionable and stylish as I claim to be. Just as any aspect of life requires a firm foundation, so does fashion. And for that one needs to pick the basics well. I believe in keeping one of the two elements toned down while experimenting with the other especially in the ethnic wear game. The fashion industry has always been experimental with ethnic wear, with design variations from sweet school girl styles to the daring siren styles. Do not limit yourself to anything, go bold and try everything; even that what is not on offer. Fashion and style are like a language, some of us may know it while some of us can learn it; so fall into one of the two categories. So here, I’m going to going to curate a few looks that can easily take you from brunch to lunch or from office to party or from day to night in a jiffy. 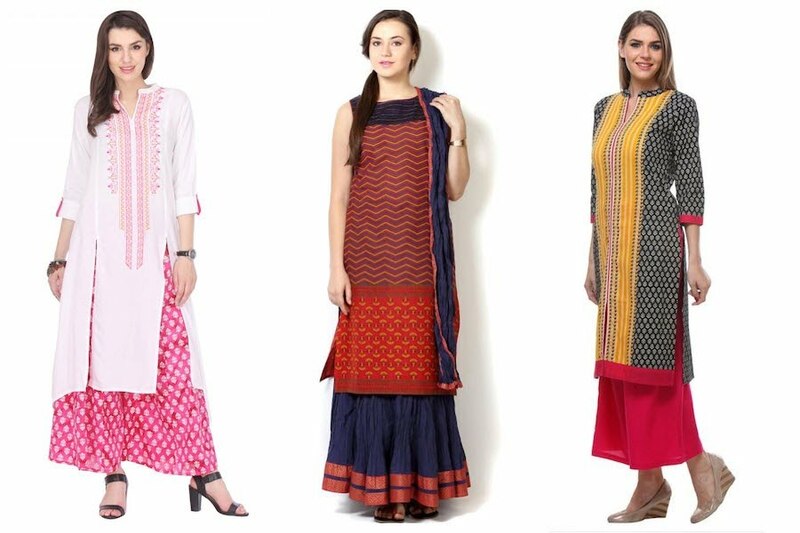 Don’t let boredom set in with the straight hemlines, try asymmetrical kurtis for a cleaner and more polished look. Not only will it give the wearer an illusion of height but also highlight her beautiful silhouette. Pair it with fitted leggings or churidar pants for a seamless look and trade the bottom with skinny jeans for a sleek fun look. 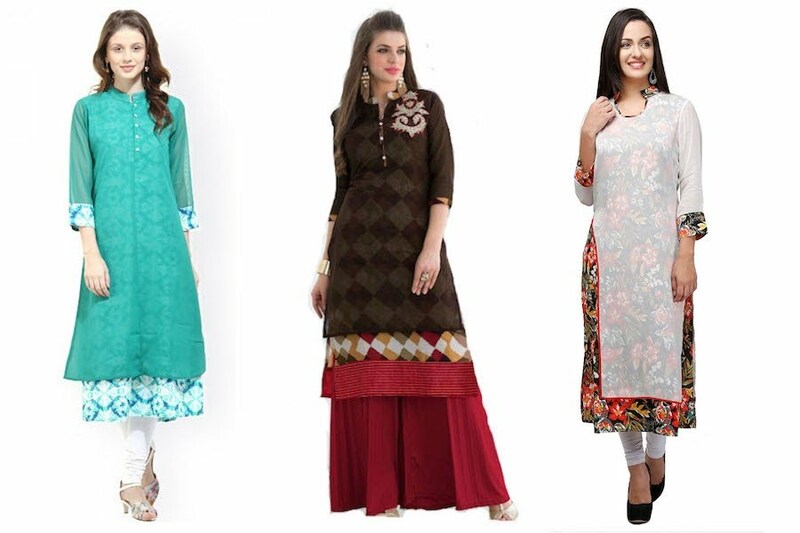 Long straight kurtis are back with a bang this season, to make the wearer look taller and sharper. Not only will it make the wearer look chic but also will bring out her professional look. Pair it with large bottomed palazzo pants for the office and then trade those with full-length skirts or dhoti pants for an enhanced casual look. Add dimensions to the overall look with an overlay – layered kurti. Not only will this style accentuate the upper body of the wearer but also make her stand out in a crowd with its unique fall. Pair them with full body skirts or churidars for a formal gathering and trade the skirt with colourful palazzo pants for casual and fun outings. Let me know in the comments below, what’s your favourite of the three kurti styles and any other looks you recommend for me to flaunt.